The Korte Company was notified late last week that our recent Design-Build healthcare construction work at the Fort Sill Dental Clinic officially achieved LEED Gold status. Our original goal was Silver certification but additional Green Power Credits secured the Gold. 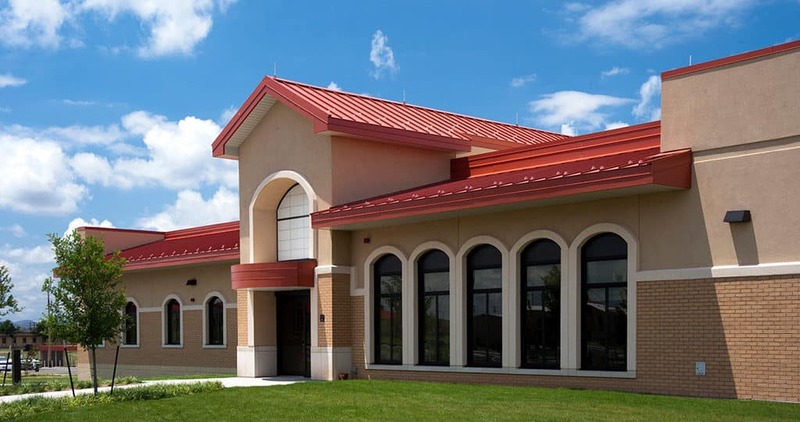 Designed as a single-story brick veneer and EIFS structure, the dental clinic at Fort Sill complements the surrounding architecture already present. We carefully worked to create an arrangement of spaces perfect for the clinical needs outlined at the start of the project. For instance, treatment rooms have been developed as a loop around the central sterilization suite, ensuring efficient routing. At The Korte Company, our healthcare building focuses on a holistic healing process through integrated and innovative technology and overall patient well-being. We’ve been working in the healthcare industry since our inception more than 50 years ago and this project marks yet another significant step in continuing to establish ourselves as industry leaders. Read more about our approach to healthcare construction.